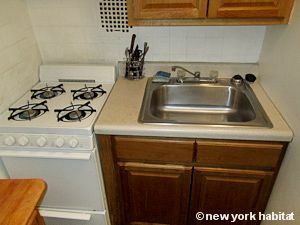 This is our reference NY-15439. 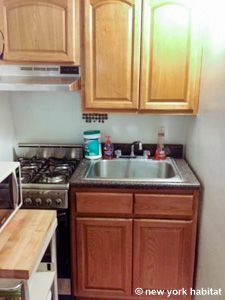 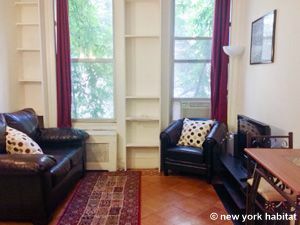 This one bedroom apartment is on the Upper West Side of New York, on West 98th Street & Riverside Drive. 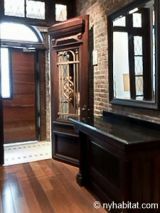 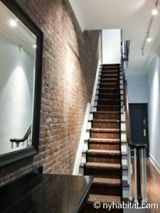 It is on the second floor (considered 1st by Europeans) of a charming four-story walk-up brownstone that dates all the way back to the early 1900s, and has a buzzer/intercom system for security. 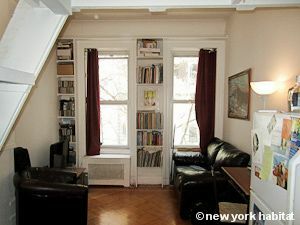 You will like this 380 sq ft (35 m²) apartment as it is situated on a nice residential, tree-lined street and offers both northern and eastern exposures. The fully furnished apartment features hardwood floors, air conditioning throughout the unit, and classic fittings. 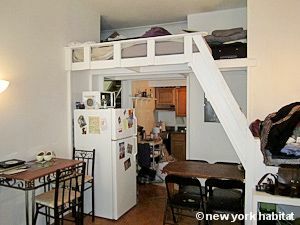 The living room has a decorative fireplace and is furnished with a double loft bed, flat-screen cable TV, and sofas. 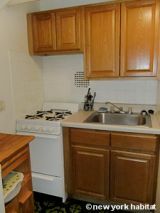 It is adjacent to the open kitchen, which is fully equipped and features a dining table for two people. 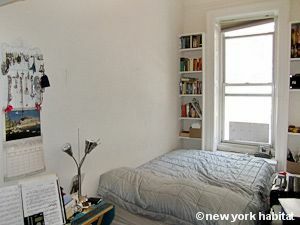 The bedroom has a queen-size bed and built-in shelves with books. 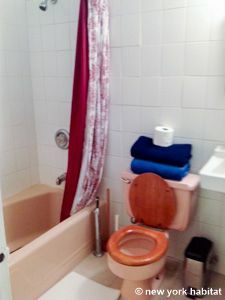 The bathroom features tiled floors and walls and is equipped with a bathtub/shower, washbasin, and WC. 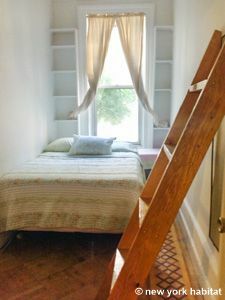 There is a closet with adequate space for storage.